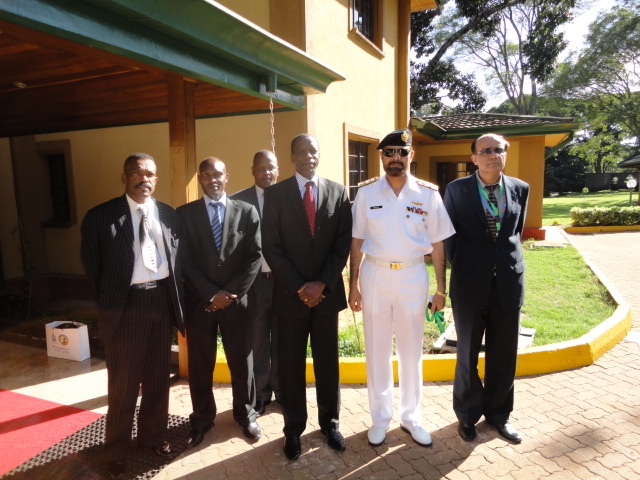 Commodore Mukhtar Khan, Commander Combined Task Force 150 recently visited Kenya for a series of key meetings. During his visit to Kenya from 2-4 July, Commodore Khan met with Kenyan authorities both in Nairobi and Mombasa, including Director of Military Intelligence, Director of National Counter Terrorism Centre and Deputy Naval Commander. The present day maritime challenges of terrorism, piracy and narcotics smuggling were discussed at length along with collective measures underway to eradicate these threats. The need for close coordination was emphasized and it was mutually agreed to capitalize respective efforts in order to have a productive and synergistic approach. The Kenyan authorities showed willingness to further enhance cooperation and expressed their resolve to contribute towards the common cause.